As a hectic Term 2 came to a close, many students gathered at the Performing Arts Centre to catch Raffles Players’ annual production. While it was heard through the grapevine that ticket sales this year were relatively slow, the turnout for their first show on Thursday which we attended was rather large. 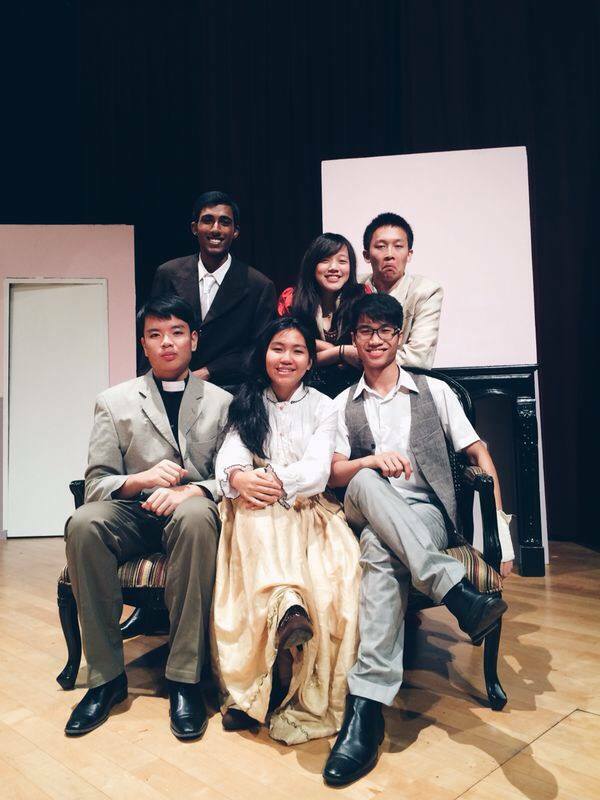 Raffles Players’ Mrs Warren’s Profession, based on the controversial play written by George Bernard Shaw – also one of the texts covered in the ‘A’ Level Literature syllabus – did not disappoint, as per many of their previous productions. Mrs Warren’s Profession covered the main theme of the shifting perception and changing role of women in Victorian London society around the early twentieth century. This was seen through the character of Miss Vivie Warren, played by Swan Yee (15A03A), daughter of the titular Mrs. Kitty Warren, played by Rachel Koh (15A01A). The profession in question refers to prostitution. Mrs. Warren, the owner of a chain of brothels, relied on the money she earns from this business to see her daughter through a prestigious college education at Cambridge. Conflict arose between mother and daughter when Vivie later found out about her mother’s less-than-respectable career. However, Mrs. Warren expertly managed to convince her daughter into thinking that she was only forced into it due to societal circumstances, and promises Vivie that she will withdraw from the profession. Yet in the end, it was revealed that Mrs Warren was still in the brothel business because she simply could not give up the lifestyle running it enabled her to have, betraying her daughter’s trust. The play ended tragically, with Vivie deciding to disown her emotionally dependent mother. Additionally, there was a tension-filled subplot consisting of the romantic relationships amongst four other characters, namely Reverend Samuel Gardner, ex-lover of Mrs. Warren and later revealed to have fathered Vivie Warren, played by Mohamed Rafi (15S07D); Frank Gardner, Reverend Gardner’s son who later shares a brief romance with Vivie, played by Bradley Yam (14A01C); Sir George Crofts, a companion of Mrs. Warren and later a suitor of Vivie, played by Naresh Manoj (15A01B); as well as Praed, also a friend of Mrs. Warren, played by Jovi Tan (15A01B). As an ‘A’-level text, Mrs. Warren’s Profession artfully comments on the controversial issue of the rampant prostitution present during the Victorian era; George Bernard Shaw wrote in his preface to the text that the play aimed to subvert the audience’s views and perceptions of prostitutes and explore prostitution as a form of exploitation due to capitalism. As such, Raffles Players’ news to stage this production garnered a great deal of support from the staff in the school, especially the teachers from the Arts Department, who not only made an effort to be present for the play itself, but to also promote the play to their students. It is of course with great joy that we can say Raffles Players lived up to expectations and even surpassed some. 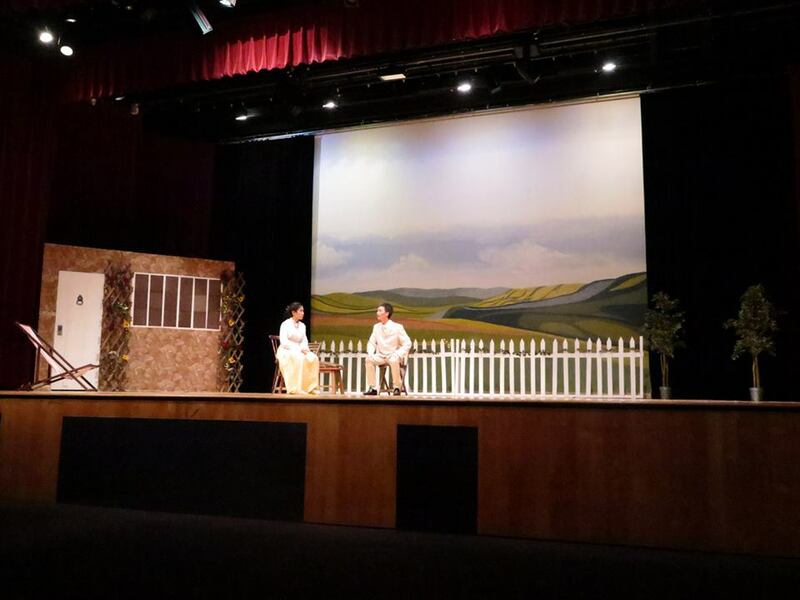 With their breathtaking sets, and especially the cast’s sublime acting, Raffles Players managed to capture much of the audience’s attention, and handled emotionally weightier scenes skilfully. Of course, as a school-based production, it was not completely flawless. The script itself, which was something beyond the control of the production crew, contained a lot of heavy dialogue, while the play consisted of a total of four acts, with one set change between acts. Consequently, there were few scene transitions, and several points the play seemed to hit a dry patch as the audience could not pick up on visual cues, and had to rely on what the actors were saying to fully understand the story. This was not made any easier when the British accents the actors had to adopt sometimes ended up muffling their words instead. In spite of all that, the cast did manage to pull through in the end. It was clear that the characters in the play had to go through a lot of ups and downs as the story unfolded, and the actors’ performances helped the audience to grasp the intricacies and complexities of the characters’ emotions and state of mind, leaving much of the audience very impressed with the professionalism of our school’s English Drama CCA. This production was all the more remarkable for the fact that this production represented many firsts in the acting journeys of its cast. Swan had no prior acting experience, apart from small-scale class skits that were compulsory during her time in Raffles Girls’; Naresh, similar to Swan, had also never taken part in a large-scale production; while playing Mrs. Warren was Rachel’s first time acting as a female character onstage. Swan told us that it was a really enlightening journey, and that it has made her realise the amount of effort, dedication and commitment needed into putting up a play. Simultaneously, reflecting on her lack of experience in playing female characters, Rachel revealed that she felt like she would be unable to accurately portray Mrs. Warren as the “dynamite, larger-than-life” character she was written to be. While the actors did enjoy themselves during the rehearsals, they also agreed that it had not been easy to manage to put up a successful performance. For the entire Raffles Players’ batch of 2015, Mrs. Warren’s Profession was the first stage play put up by their batch for which they all had to come together and be involved in the production of. It also meant that their road to when the curtains finally drew close on the stage was a long and turbulent one, full of many hiccups on the way. They were thrown a curveball when they had to repaint their painstakingly-painted backdrop for CLDCS’ production following a miscommunication; when Swan kept speaking in a perfect Australian accent instead of the needed British one; when everything seemed to be everywhere and it was a mad rush trying to get sorted out and organised. Yet, as with all other school productions, these obstacles created opportunities for all the members to work together, with people from various committees collaborating and staying back past their supposed times to help one another out. Katrina Jacinto (15A13A), co-Stage Manager in-charge of the overall stage set-up, said, “Productions always remind me that every single element of the stage contributes to creating the overall experience for the audience, even if they think they’re just going for the acting.” The hard work put in by each and every member in the CCA has definitely not gone unnoticed. Rafi, also President of Raffles Players, was glad that every member in the CCA displayed overwhelming teamwork and support for each other, and managed to stage a successful production in the end. The other members whom we interviewed also felt really appreciative towards their fellow CCAmates for all the encouragement that they gave one another throughout, making their experience in those few trying months so much more enjoyable. We admire their immense efforts into making it come together in the end, and most importantly, into entertaining the audience while leaving them with important food-for-thought. Perhaps Rachel summarises it the best, “I think it’s important to acknowledge that the play isn’t exactly the most exciting play… but the fact of the matter is that it has an important message that needed to be said in Victorian England and still needs to be repeated now. It puts forth important, complex questions about a woman’s place in society, her worth, social moral hypocrisy [sic], gendered expectations and familial obligations. These questions are sadly still pertinent in today’s society.” Indeed, Mrs. Warren’s Profession, if nothing, highlighted these issues at their cores, and made us think hard about the repercussions and ramifications of how we pass judgment on right and wrong. 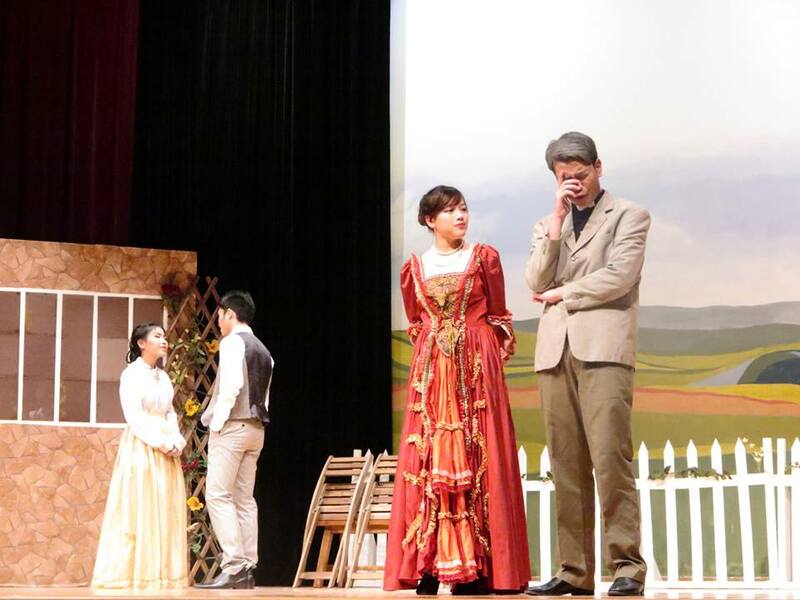 The play put up by Raffles Players of Mrs. Warren’s Profession successfully portrayed these issues at an accessible level, garnering praise from students and arts teachers alike. Although not without its faults, Mrs Warren’s Profession put up by Raffles Players this year was admirably executed, and made for an evening well spent.